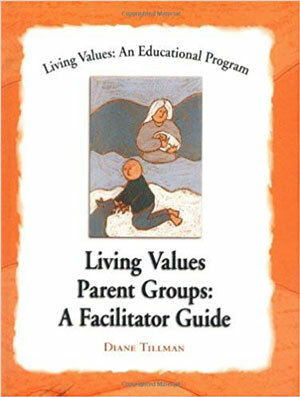 Living Values Parent Groups: A Facilitator Guide — This book offers both process and content for facilitators interested in conducting Living Values Parent Groups with parents and caregivers to further understand skills important in encouraging and positively developing values in children. The second section offers suggestions regarding values activities the parents can do in the group, and ideas for parents to explore at home. In the group sessions, parents play the games their children will play and learn additional methods to foster value-related social and emotional skills at home. In the third section, common parenting concerns are addressed, as are particular skills to deal with those concerns. There is a small section on the needs of children from ages 0 to 2.